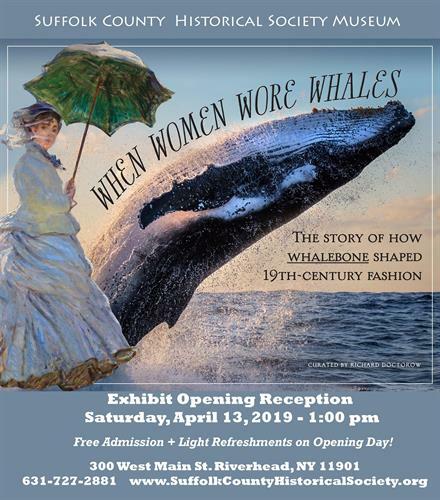 The beguiling ensemble of an elegant 19th-century lady—her billowing hooped skirts, shapely corset, and coquettish parasol—were all made possible thanks to whalebone, or what we know of today as baleen. Used by whales to filter their food from the water, in the 18th and 19th centuries baleen was the "plastic" of its day. Light, strong, and flexible, it could be worked into any number of shapes and sizes, including hoops for skirts, ribs and shafts for parasols, and the “boning” that gave corsets their shape. Baleen was so vital and valuable that whalemen continued to hunt whales for it long after kerosene and petroleum had made whale oil virtually worthless.